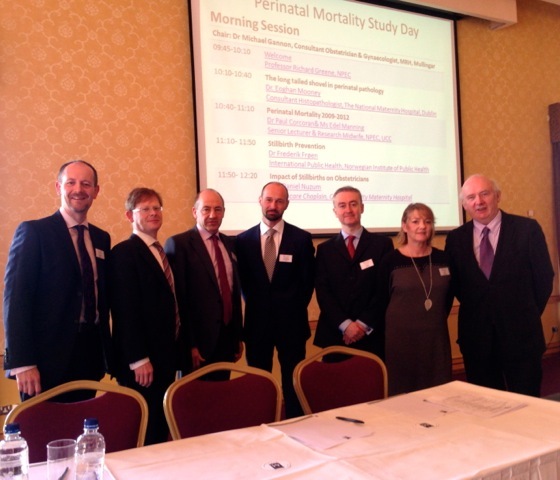 Cork University Maternity Hospital Chaplain and PhD student Daniel Nuzum was one of the invited speakers at the Annual Perinatal Mortality Study Day in Mullingar on 07 February organised by the National Perinatal Epidemiology Centre (NPEC). Daniel’s paper presented some of his doctoral research into the impact of stillbirth and in particular the impact of stillbirth on consultant obstetricians. This entry was posted in Chaplaincies, Church in Society, Contemporary Issues, Diocese, Pastoral. Bookmark the permalink.